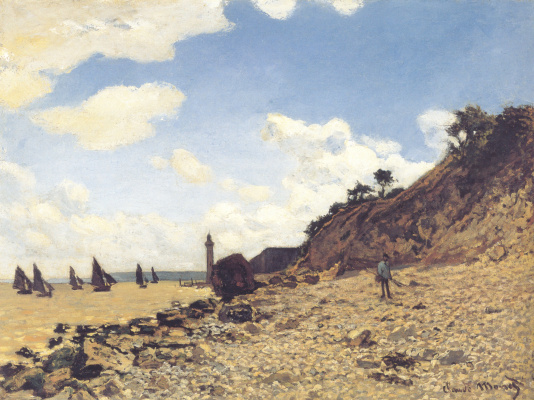 Claude Monet came to London several times between 1899 and 1901. He stayed at the Savoy Hotel and from the window of the room painted the views of the Thames: with Charing Cross Bridge and Waterloo Bridge. In the late afternoon, he worked from a location inside St. Thomas's Hospital, from the terrace of which opened a view of the Houses of Parliament. 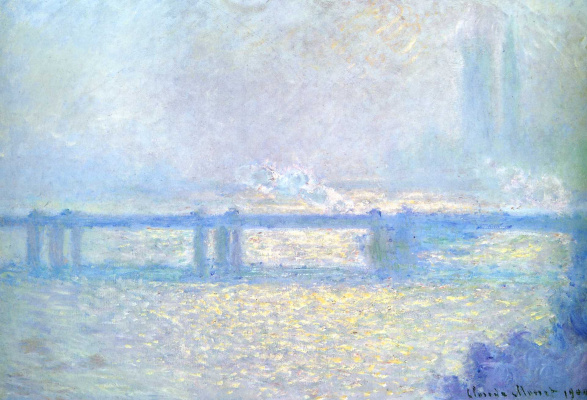 In London, Monet was certainly most interested in fog and those special color effects it created under different lighting. Fog here is never the same, it can be green, purple, pink and blue. 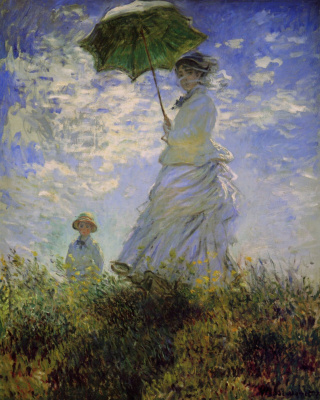 Monet wrote to his wife Alice: "The weather is deadly, a terribly cold wind... clouds and sun without discontinuing... One marvel after another, each lasting less than five minutes, it was enough to drive one mad. No country could be more extraordinary for a painter." According to the established and familiar system, Monet begins the London series with painting several canvases at different time of day. 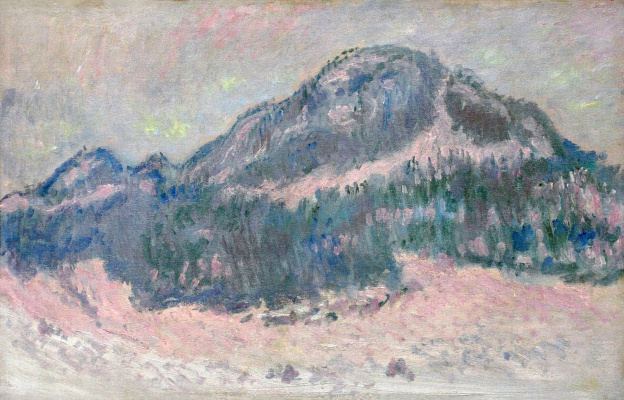 But every day there were more of them - and Monet was working at more than 60 canvases, which he didn't not even expect to complete. The artist hoped to complete depicting at least several states of the city - but did not manage to complete a single one. 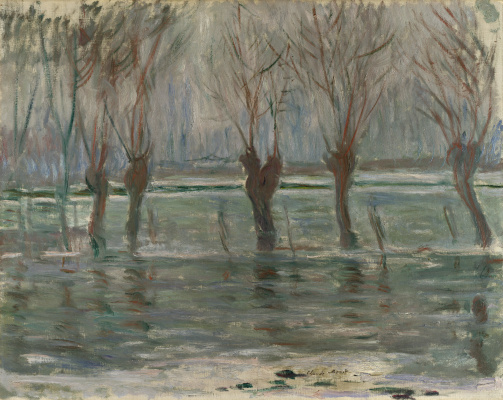 At home Monet was fascinated by water lilies, which he painted every day, delaying his work on the London series. Art critics argued a lot whether a few or even most of Monet's views of London were painted at the artist's home in Giverny from memory. Because it took the painter another 3 years before he found the series complete and allowed the art dealer Paul Durand-Ruel to have a look at them. 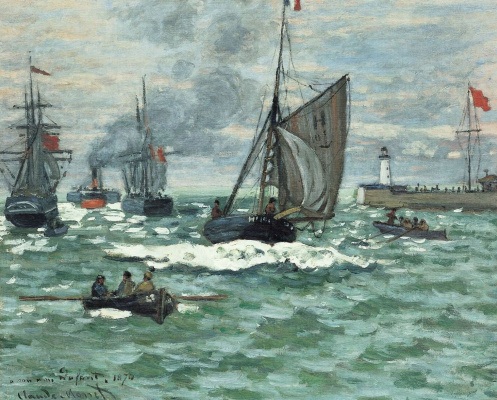 Monet was more than 60 years old, already a famous and recognized artist, whose new works were being waited for by the collectors on both sides of the ocean. At the persistent requests of the dealer to send at least a few he replied, "I cannot send you a single canvas of London. It is indispensable to have them all before me, and to tell the truth not one is definitely finished. I develop them all together." 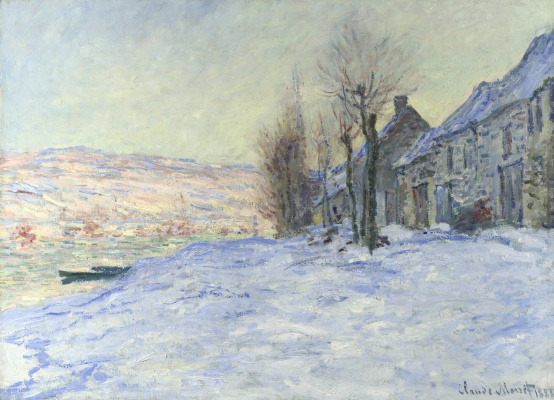 Scientists at the British Royal Society studied the dates indicated on those letters to Monet's wife, where he wrote about his observations of the sun. Then they calculated three possible places on the terrace of St. Thomas Hospital, where the artist could work, and compared these coordinates with the movement of the sun in London at that time of year relative to the spires of the Houses of Parliament. 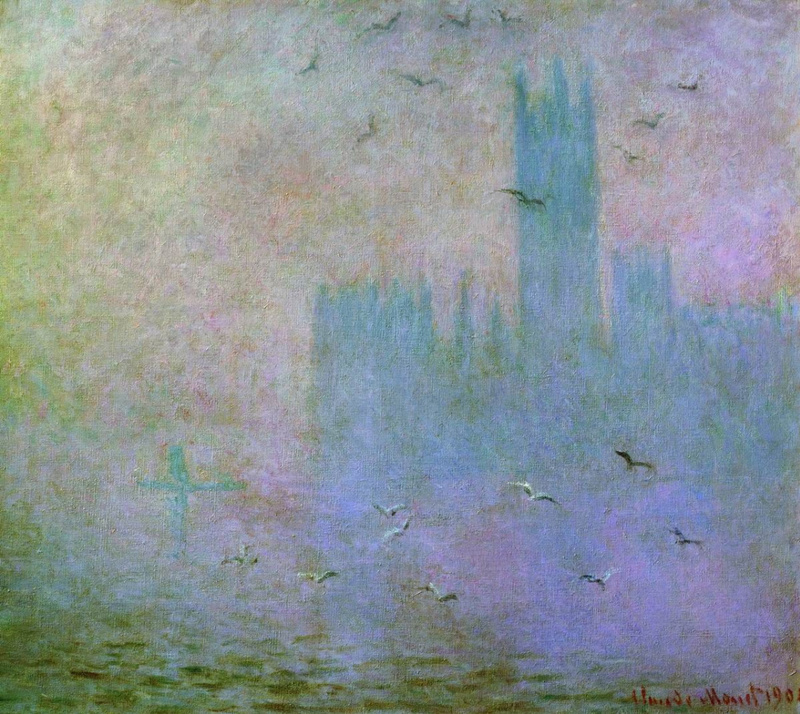 It turned out that Monet absolutely accurately conveyed what was happening in the sky of London. 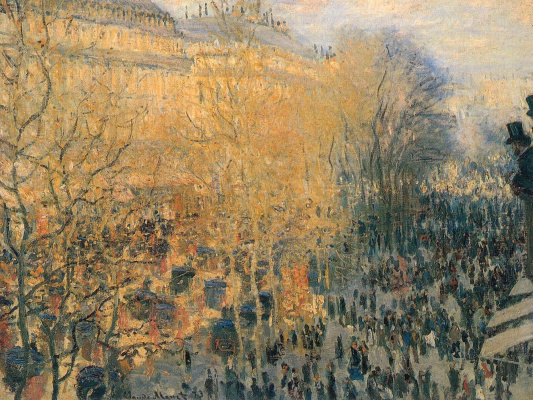 In 1904, at the gallery of Paul Durand-Ruel, there was held an exhibition dedicated to Monet's exhausting London's plein air painting which stretched for several years. 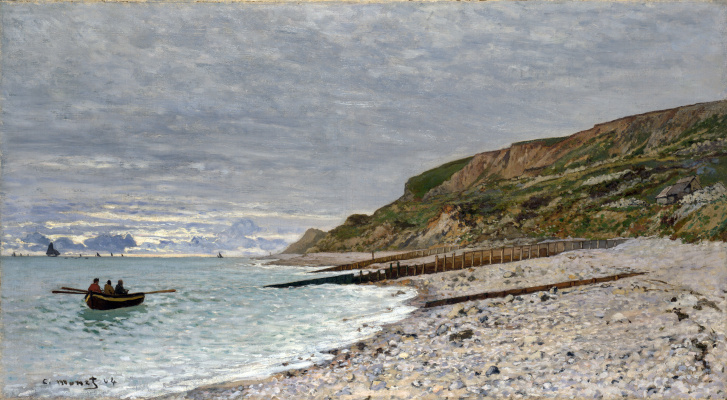 There were exhibited 37 paintings - and most of them were immediately purchased by American collectors. 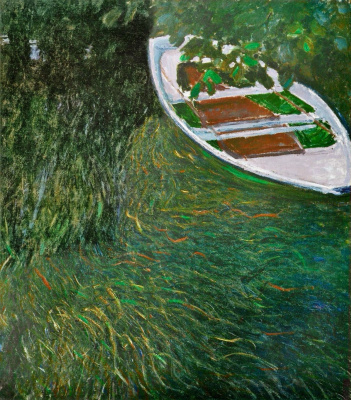 Today, one can see Monet's Houses of Parliament with seagulls here, at the Pushkin Museum and at the Princeton University Art Museum in New Jersey.